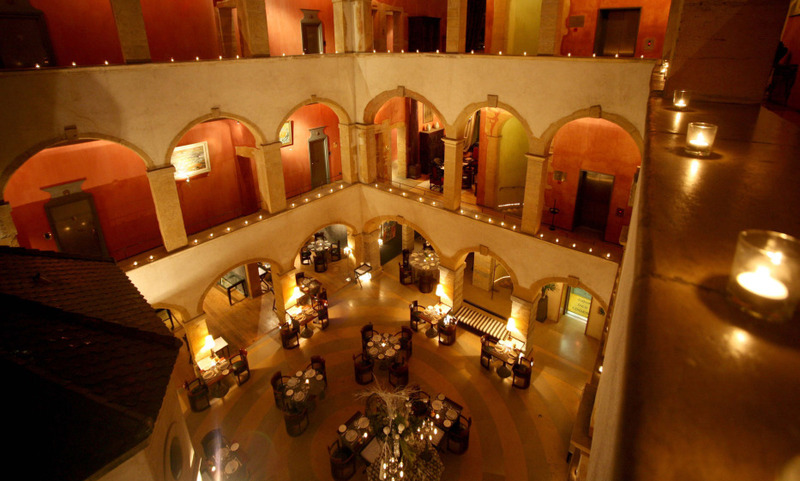 History meets luxury at the Cour des Loges, tucked in the UNESCO World Heritage Site of Vieux Lyon. Four Renaissance townhouses make up the hotel, interconnected through mythical spiral staircases, narrow passageways, loggias and balconies. The interiors reflect the history of the place –rich, period-style in mood – and each room is bespoke. Make sure to visit the hotel’s hanging gardens, and to feast your palate on the Michelin-starred Les Loges: their Renaissance menu is to die for. Historic and romantic athmosphere in the old district of Lyon. Spa Pure Altitude with indoor pool, hammam, sauna, and 2 treatment cabins. A little hidden gem, brought up to twenty first century standards but sympathetically maintaining the history of its being. A charming and historic hotel in the best part of old (Vieux) Lyon. The rooms are quirky but in fitting with the history of the building and that part of town. It added to the charm of our stay in Lyon.